Women with PCOS constitute, the largest group of women at risk for cardiovascular disease. 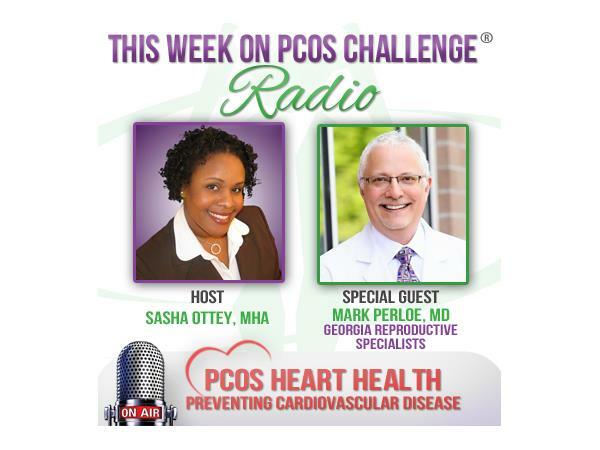 Dr. Mark Perloe joins the PCOS Challenge radio show to speak about why women with PCOS are at such high risk for developing cardiovascular disease and recommend steps to improve heart health. Dr. Perloe is the Medical Director of Georgia Reproductive Specialists and a strong PCOS advocate. Join other women in the fight against polycystic ovary syndrome at PCOSChallenge.com.